Bipartisan move secures hundreds of millions in funds for Israeli short- and long-range missile defense systems. American legislators from both sides of the isle have lauded the decision by Congress to provide more support to boost Israel's missile defense capabilities. 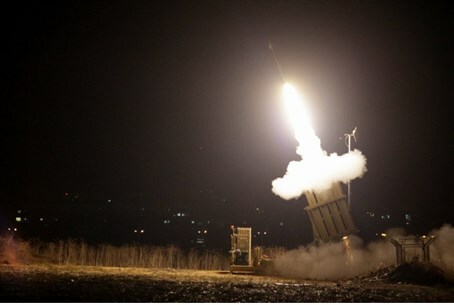 In a joint statement released Friday, Congressman Peter Roskam (R-IL), co-chair of the House Republican Israel Caucus, and Congresswoman Grace Meng (D-NY), a member of the House Foreign Affairs Subcommittee on the Middle East, expressed their satisfaction at the increased aid for cooperative US-Israel missile defense systems including Iron Dome, Arrow, Arrow 3, and David’s Sling. $286.5 million for the David’s Sling Weapon System, designed to intercept medium- to long-range rockets and cruise missiles. ​The latter two budgets represent an increase of $60.6 million and $249.8 million over the President's budget request respectively. "A robust missile defense infrastructure is vital to the safety and security of our ally Israel,” Congressman Roskam said, explaining the move, which he initiated along with Congresswoman Meng. "In just a few short years, Iron Dome alone has proven highly effective in saving countless innocent lives and preventing further conflict escalation. These programs, which are co-produced in the United States, also yield a tremendous return on investment in the form of American jobs and advanced military technology." "Israel remains under constant threat from Hamas, Iran and Hezbollah," said Congresswoman Meng in the statement. "We must continue to stand by our friend and ally and ensure that the Jewish state has the resources it needs to defend itself." Meng called on the Senate to "now act swiftly to pass the Defense Appropriations Bill as well." The Defense Appropriations Bill funds various defense programs including national security and military operations. The measure must now be approved by the Senate and signed into law by the President.